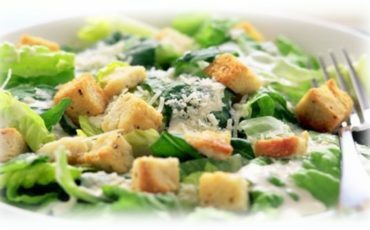 To prepare the salad you will need lettuce, cabbage, cucumber, apple, cheese, some rusks. You will also need soy sauce, cedar nut oil, lemon juice for salad dressing. Cut the lettuce (preferably with a ceramic knife) into 4-6 pieces. Put the lettuce on a large wide plate. Cut the cabbage into thin strips. Cut the cucumber into small cubes and apple with the vegetable peeler; sprinkle it with lemon juice. Add the cucumber and apple to the lettuce. Grate the cheese and sprinkle the salad with it. Mix ingredients for salad dressing. Season the salad with the dressing just before serving! Newer What is Created – Family Homestead Settlement or Ecovillage?